Let’s face facts; most people are pretty busy. 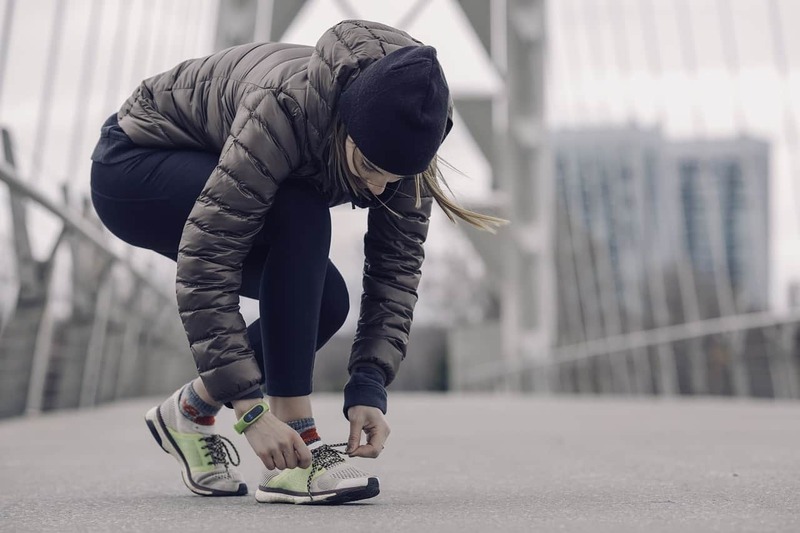 Squeezing a regular exercise routine into an already jam-packed schedule isn’t always an option, so finding ways to boost your physical activity in ways that won’t disrupt your day is often ideal. Luckily, there are plenty of things you can do to get more active without having to alter your day-to-day significantly. If you want to boost your physical activity, here’s what you need to know. Before you change your routine to include more physical activity, it’s wise to speak with your doctor. This gives you a chance to discuss your plan with a healthcare professional who can make sure that what you are about to start is safe for you. While you can always through on an exercise DVD or YouTube video, that might not work for anyone who can’t dedicate 30 minutes straight to working out. Thankfully, adding some physical activity to your time at home can be a breeze, even if you are typically pressed for time. If you want to boost your physical activity at home, here are some simple options to get you started. Usually, work isn’t the ideal place for a big workout. But, unless you are in a particularly active job, it commonly means being mostly sedentary for eight to 10 hours, and that isn’t great either. While it may come as a surprise, there are a number of ways to add some additional physical activity to your workday that don’t take a lot of time and won’t result in a ton of weird looks from your coworkers. Here are some options that definitely worth exploring. Many people spend quite a few hours each week outside of the workplace and home. Whether it’s a trip to the grocery store, picking up your children from school, or managing various errands, it may not have occurred to you that you can make this time more active. 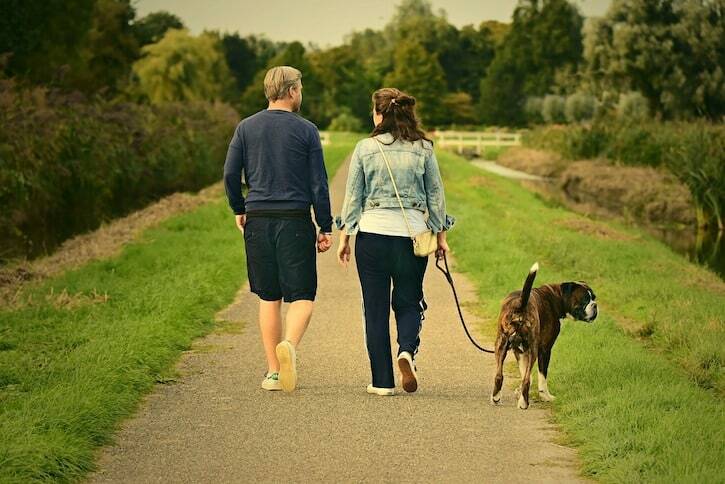 Here is a quick look at some easy ways to boost your activity while you are on the go. Ultimately, all of the options above can help you squeeze more physical activity into your day no matter where it takes you. Just make sure to speak with a healthcare professional before you begin, consider starting slow if you haven’t exercised in some time, listen to your body, and be patient with yourself. It takes time for real change to be realized, but you are taking an important first step. Plus, if you keep your eyes open, you may spot other opportunities to add more physical activity to your day, ensuring you can maintain your schedule and support your health. Whether your New Year’s resolution was to get in shape or lose weight, or you were spontaneously inspired to strive for better health, having a fitness tracker can make a world of difference. These handy apps and devices make it easy to track your diet and workouts, ensuring you can monitor your progress and access information that will help you achieve success. Let’s face it; people love devices. There are tons of fitness tracker devices on the market today, but they don’t all offer the same level of experience. If you are ready to try a fitness tracker, here are some of the best. If you are looking for an accurate fitness tracker at a price you can afford, then the Moov Now might be right up your alley. It doesn’t come with a screen and definitely isn’t pretty, but it does have exceptional battery life and can track a wide range of activities, including running, swimming, and even boxing. Plus, the companion app has a few decent workouts, but the HIIT could use a bit more variety. However, the workout tracking blows the competition out of the water, capturing motion better than significantly more expensive competitors. 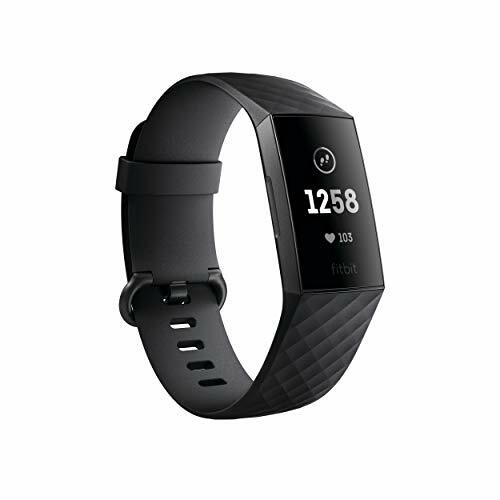 With a look that resembles a high-tech watch and battery that can last over a week, the Fitbit Charge 3 is a solid fitness tracker. 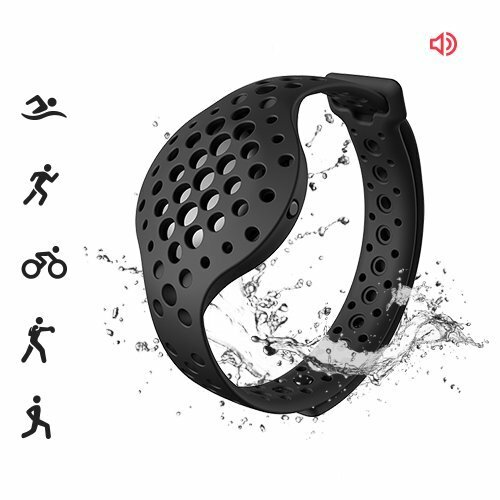 It is water resistant, so you can use it while swimming along with usual options, like walking and running. Plus, it can monitor your heart rate and sync data to the companion app. One thing that is especially frustrating about the Fitbit Charge 3 is the fact it requires a proprietary charger. If you lose it, you can’t use a common type C USB instead. It also doesn’t come with an integrated GPS, and the screen is monochrome. However, the screen is very large, which is nice. 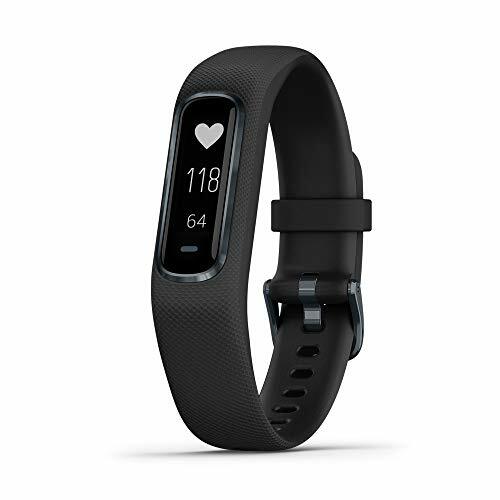 One of the slimmest fitness tracker devices around, the Garmin Vivosmart 4 has some unique features that help it stand out. 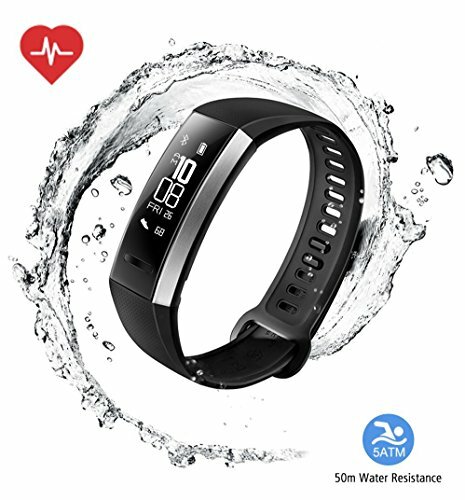 For example, there is a pulse oxygen sensor along with the heart rate monitor, and the advanced sleep monitoring capabilities can even track REM. It will also measure your Body Battery, the amount of energy it thinks you have left. The only drawbacks are the lack of GPS and the small screen. However, it does have good battery life, which is handy. The Huawei Band 2 Pro is as affordable as it is capable. It can track running, biking, and swimming while also monitoring heart rate and oxygen levels. The step counting is particularly accurate, and you can link the data with other third-party platforms, including Apple Health and MyFitnessPal. On the downside, the included app is incredibly clunky. The tracker itself is also a little bland, but that isn’t the end of the world. But maybe you don’t want another device. Today, nearly everyone has a smartphone, often keeping them within arm’s reach 24/7. Fitness tracker apps are incredibly convenient thanks to their accessibility. However, they are not all created equal. Here are some of the best. With a five million item food database, integrated barcode nutritional scanner, and recipe importer feature, MyFitnessPal is one of the most popular diet tracking apps around. Plus, it has exercise tracking options, and can help users develop eating and workout plans based on their unique goals. The app also works to keep you motivated, thanks to gamification. It’s also very user-friendly, so users can finish entering their information each day in just a few minutes. However, MyFitnessPal isn’t perfect. It can’t accurately measure how many calories a person burns during a workout because it can’t adjust for factors like exertion levels, breaks, or the amount of weight lifted. This means the number of calories it thinks you burned and how many you actually burned might vary dramatically. Part meal and fitness tracker, part healthy living guide, 8fit helps users create plans based on their unique goals and monitor their progress along the way. Plus, it also takes a person’s current stats and, more importantly, personal preferences into account, going into great detail to find the right options for each user. On the diet side, the app can create meal plans based on the number of times a person wants to eat each day, how much variety they need in their food, and preferred prep methods. Plus, users can tell the app how often they grocery shop and the app will create a handy list for the right number of recipes. Physical activity logging options are practically endless too. The list includes everything from running to martial arts, and even has entries for sexual activity. In the app, users gain access to fitness plans and an exercise library filled with video examples that show users how to do the moves correctly. The main drawbacks are that the recipes are only available in the PRO version, and that comes with a price tag. Additionally, the diet advice comes off a bit extreme at times, which is pretty off-putting. For example, sugar is referred to as “the devil” on numerous occasions, and the suggestion to avoid fruits and legumes is a bit pushy. Fitness Buddy is an exercise-oriented fitness tracker. The app features strength training video tutorials and various workouts, ensuring you have a solid program and know how to do each move. In the free version, users can try five different premade workouts and create two custom workouts. Plus, there are over 300 exercises, making it easy to set up a routine with some variety. The Fitness Buddy app is incredibly intuitive, allowing users to get around quickly. Inside each workout, users can review the expected time and record their actual time. Plus, there is an option for heart rate tracking. Some of the options and features are placed behind a paywall. However, the price is very reasonable. One annoying part is the frequent popups, which interrupt the browsing experience if you are not a premium user.